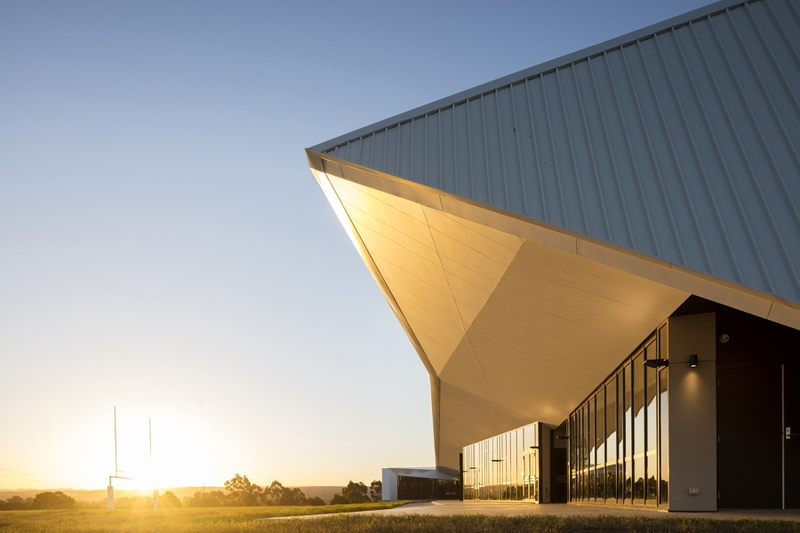 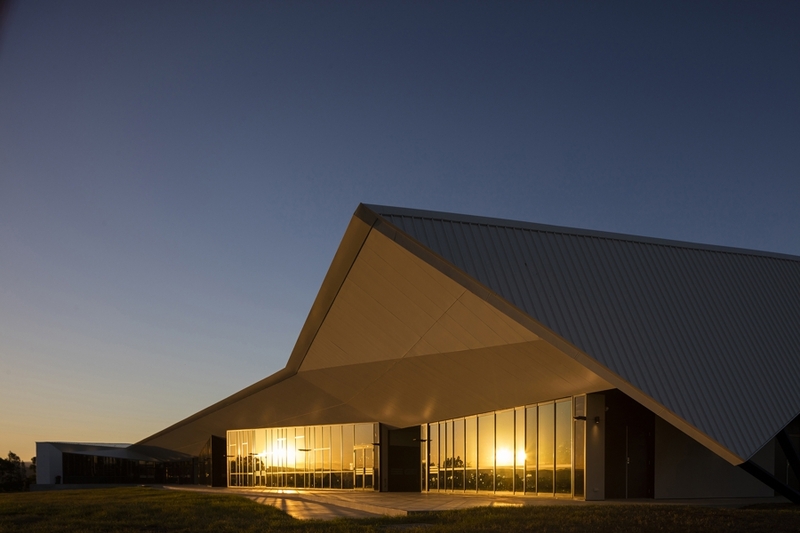 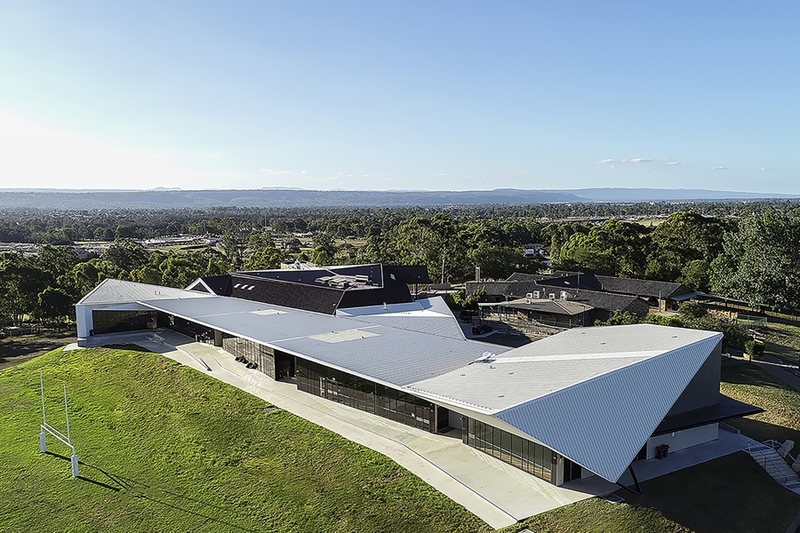 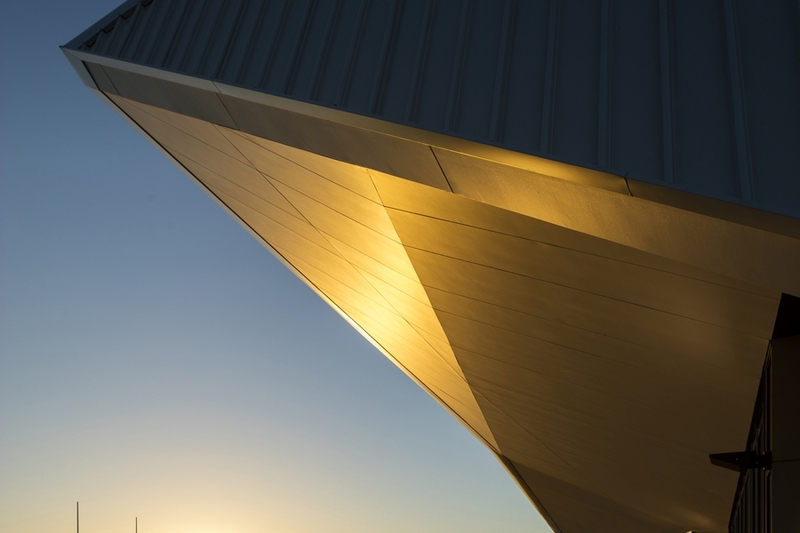 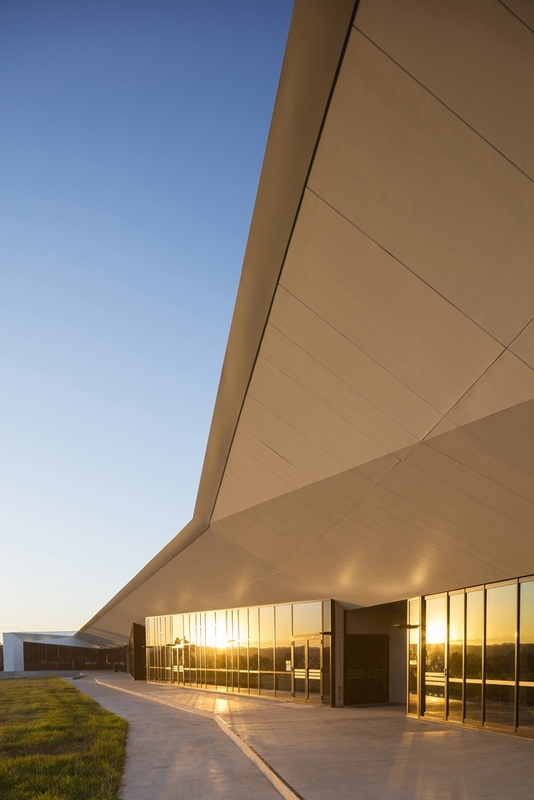 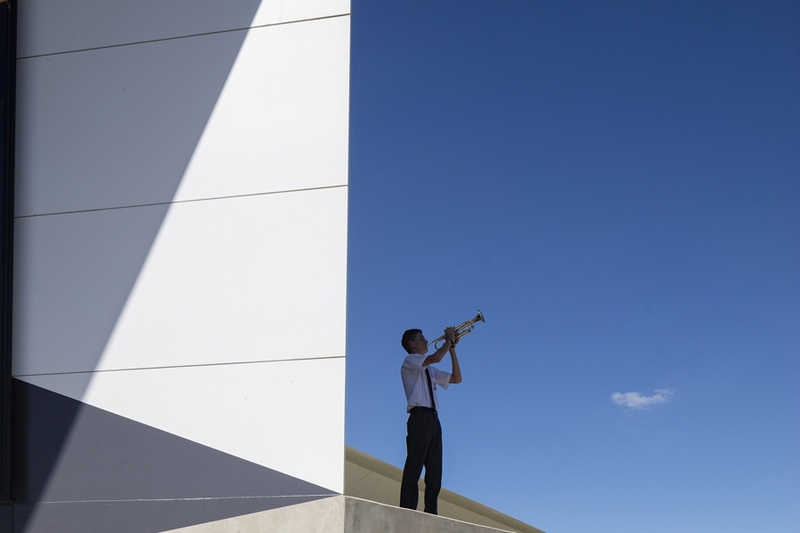 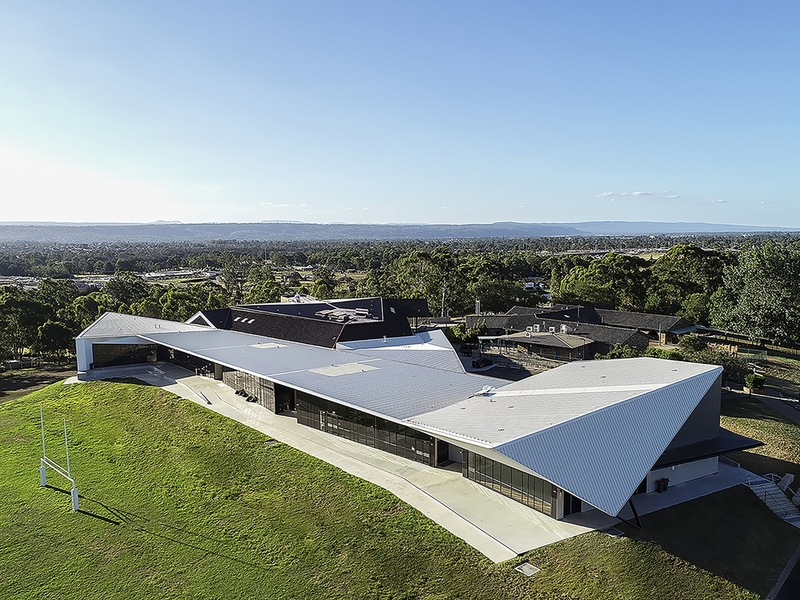 Penrith Anglican College Performing Arts Centre builds upon the lessons at Shellharbour and re-deploys similar strategies in a more complex environment. 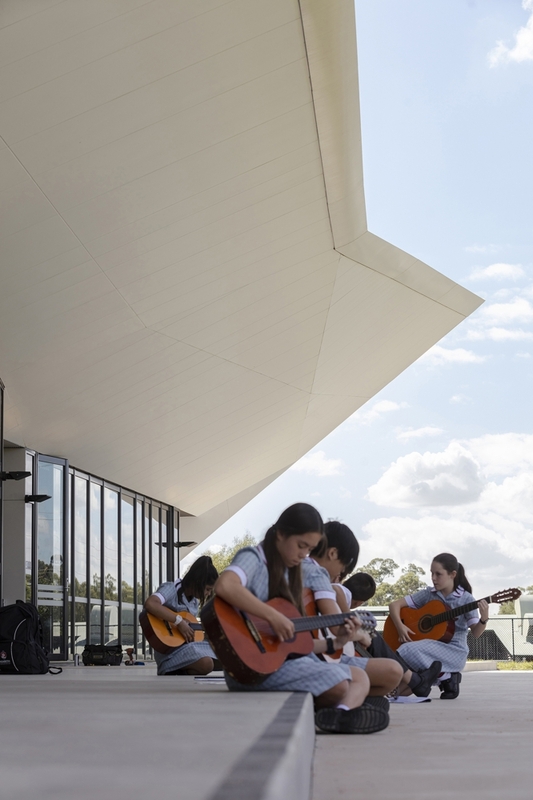 The building here accommodates a specialist music and performing arts curriculum, poorly served by an existing auditorium with limited back of house, foyer and other support functions. 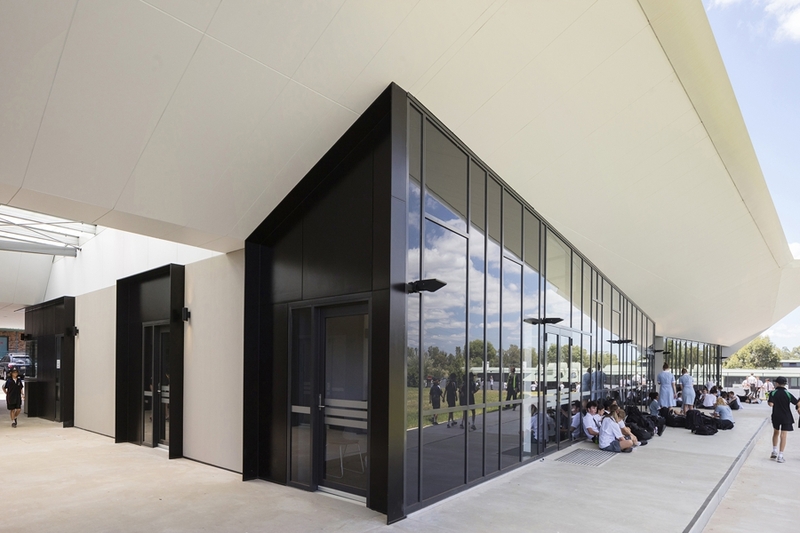 The new building aims to extend the life of this building in functional terms but also reorganizing the school to increase focus on and engagement with it. 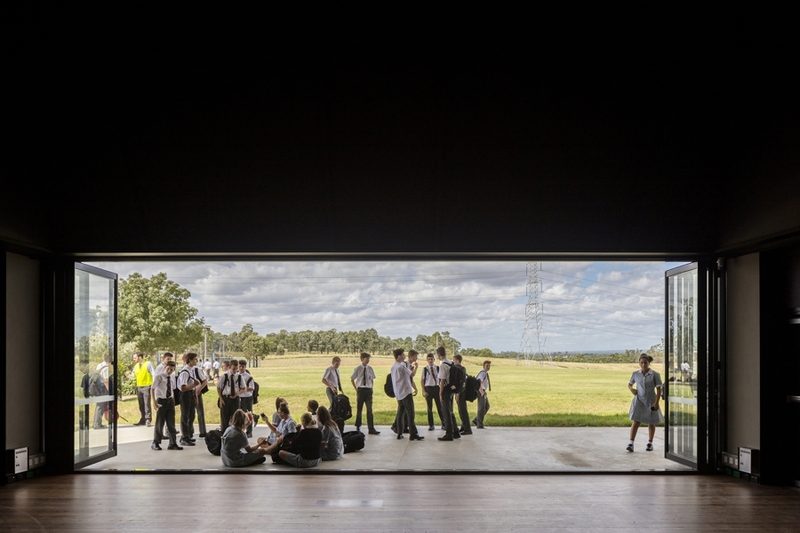 It was therefore important that investment in the project - while framed around internal education logics - could also leverage further community involvement from potential users outside the school. 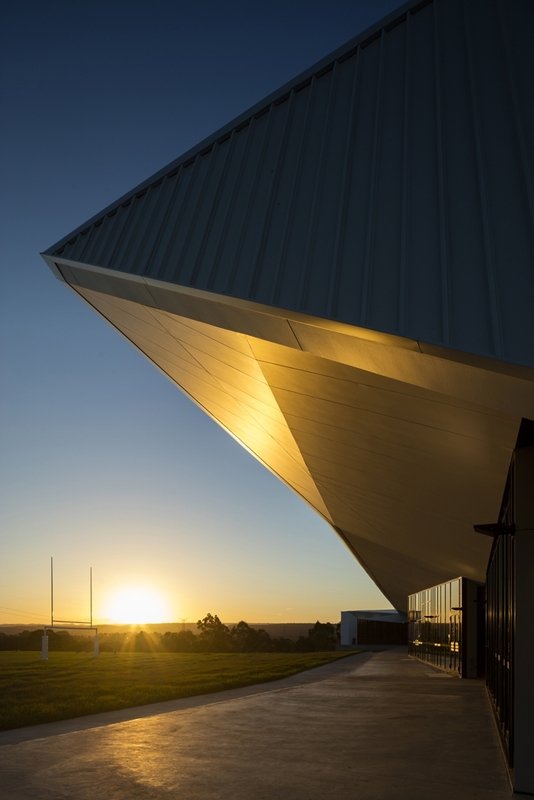 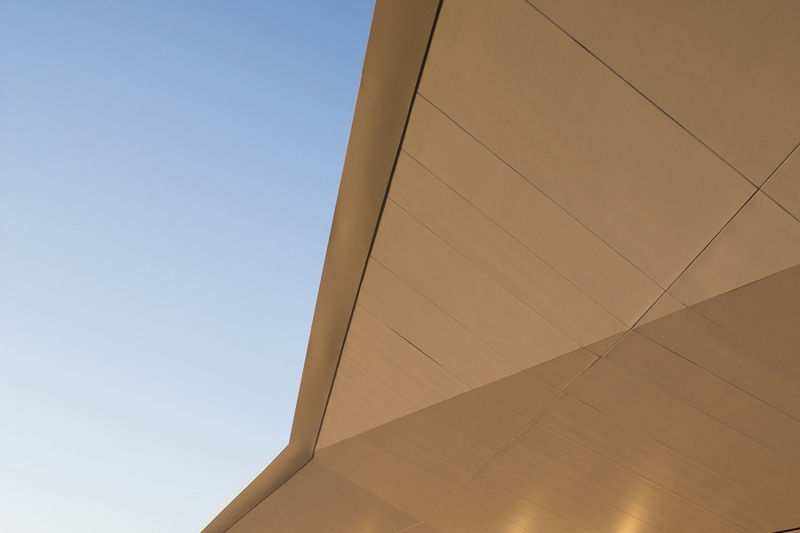 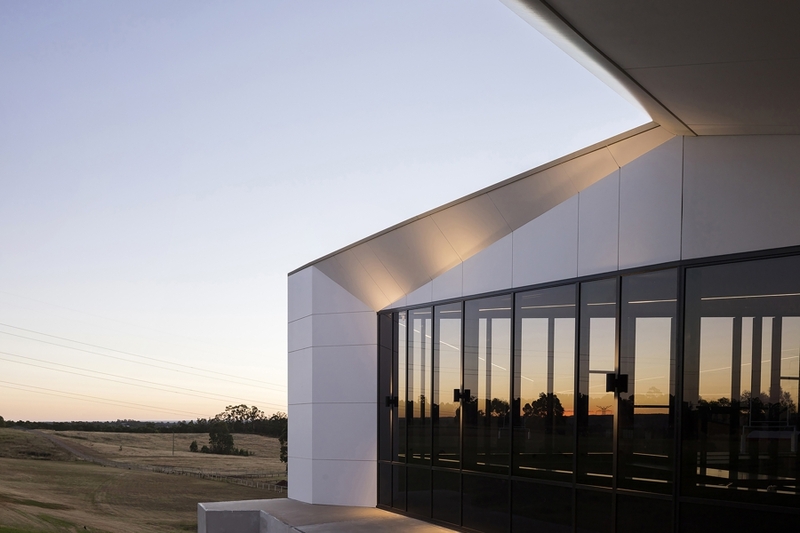 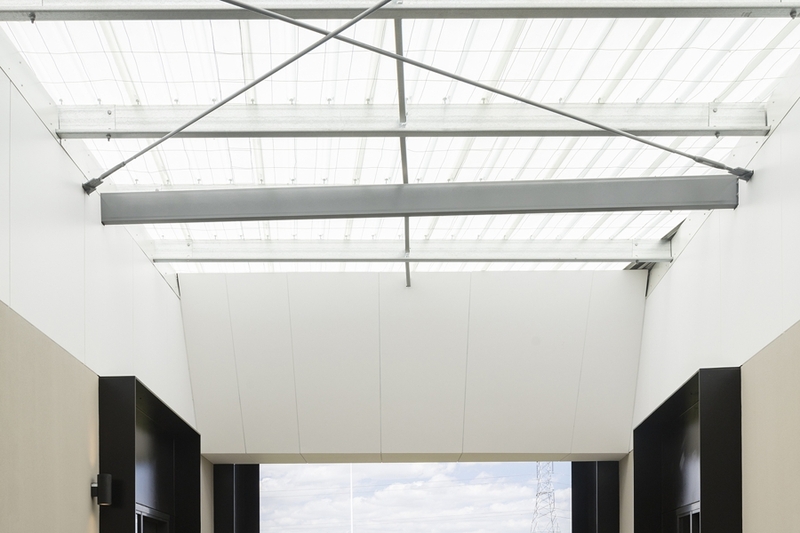 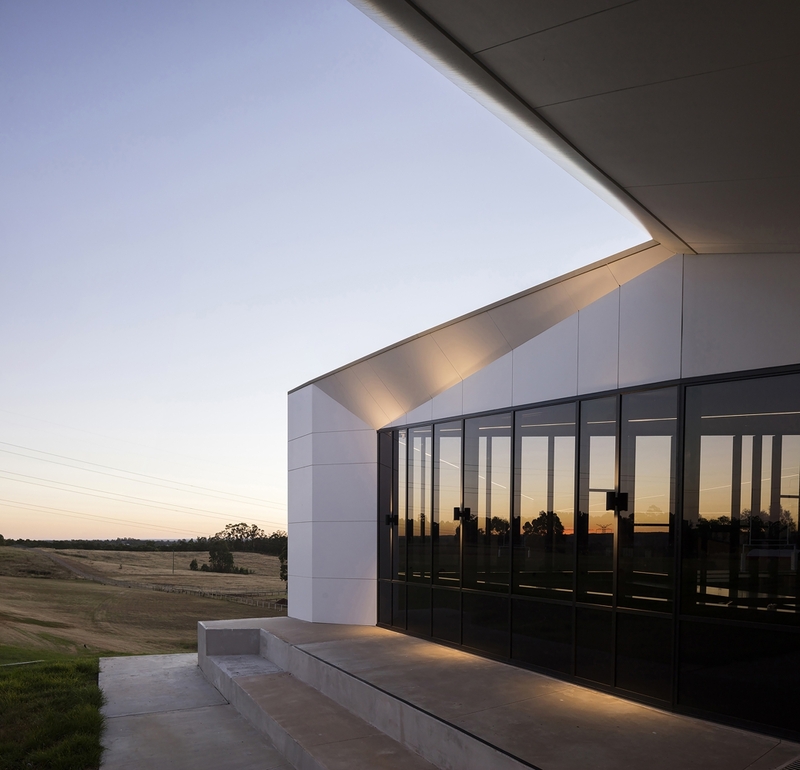 The building therefore works as a sort of “backpack” that augmented the existing theatre’s spaces and functions while also acting as a viewing pavilion for a rugby field currently bereft of any support infrastructure. 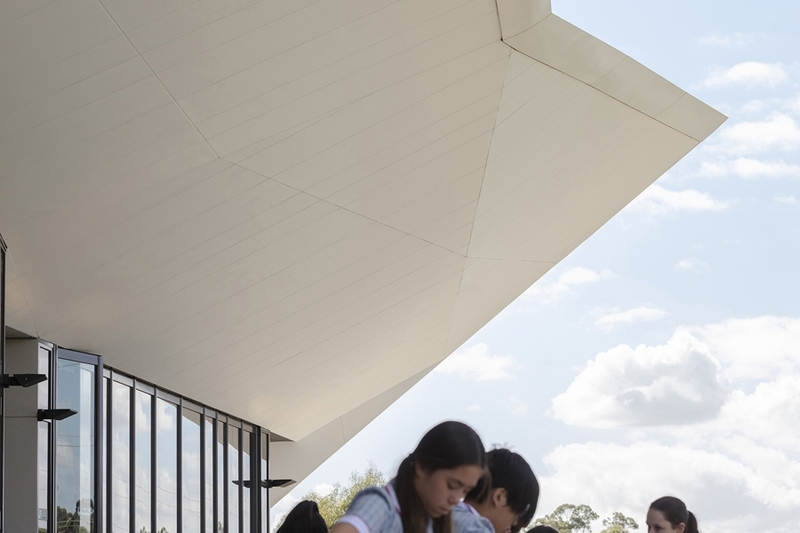 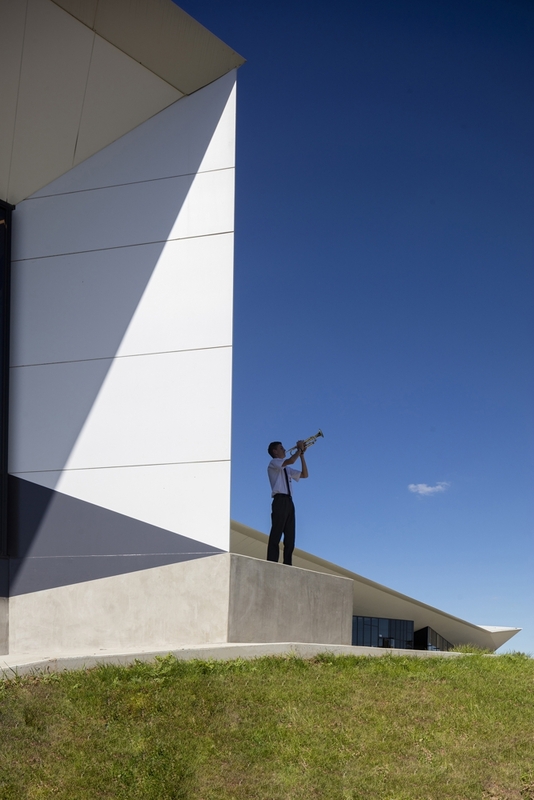 Between these dual roles and formal arrangements as a backpack and pavilion, the building hosts a complex set of teaching, practice and performance spaces that further extend what is possible from the minimal budget. 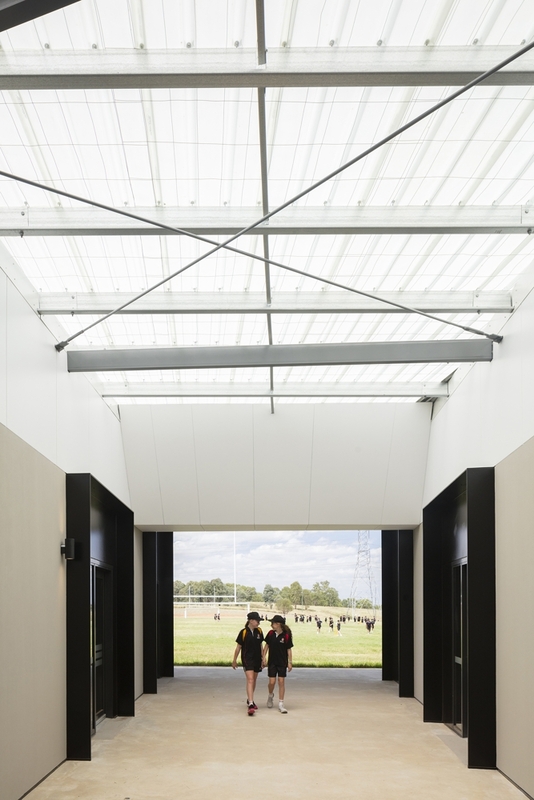 Tying this together are a series of Third Spaces that build upon circulation needs between and behind the classrooms and, when combined with the verandah/pavilion, form a rich network of covered outdoor practice and play areas, outdoor foyers, rugby viewing areas and multiple other potential uses. 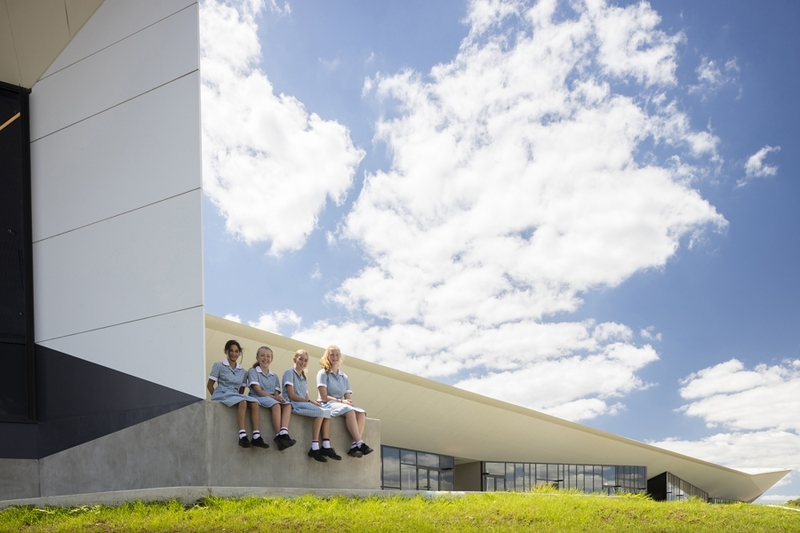 This focus on leveraging the facility inside and outside the school must be understood in the context of the funding context within which the building was procured. 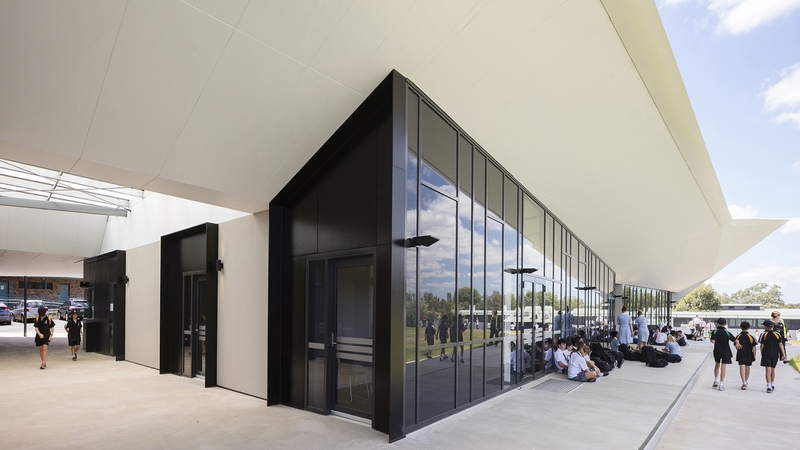 The building had to be extremely cheap while addressing multiple functions and dealing with a part of the school unlikely to receive future investment after this initial project. 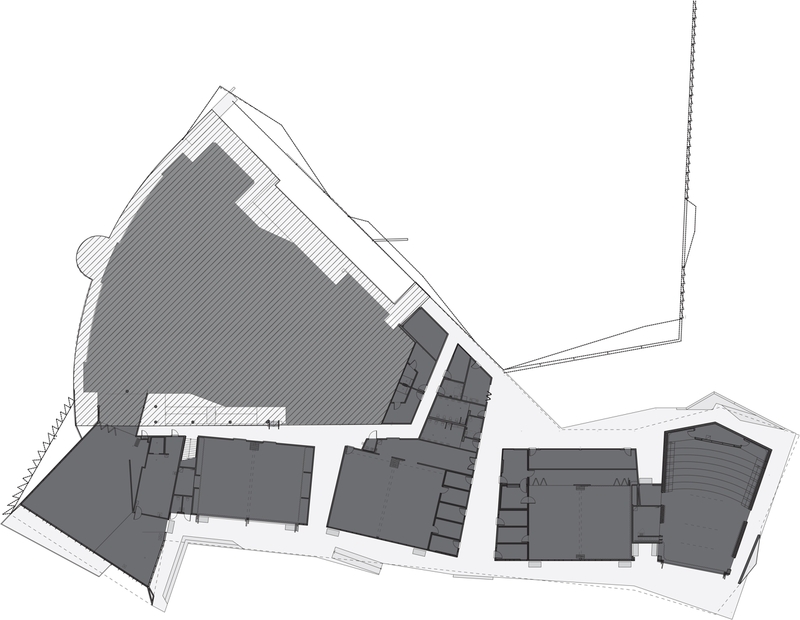 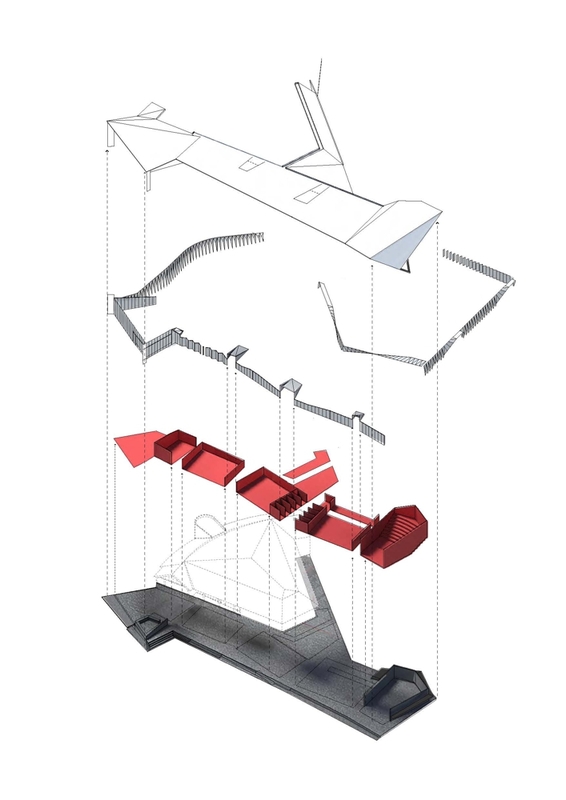 By embedding a series of Third Spaces in the logics of the project, what could have been a series of mundane classrooms provokes a discussion around the variety and scale of spaces that should underpin further redevelopment at the school.